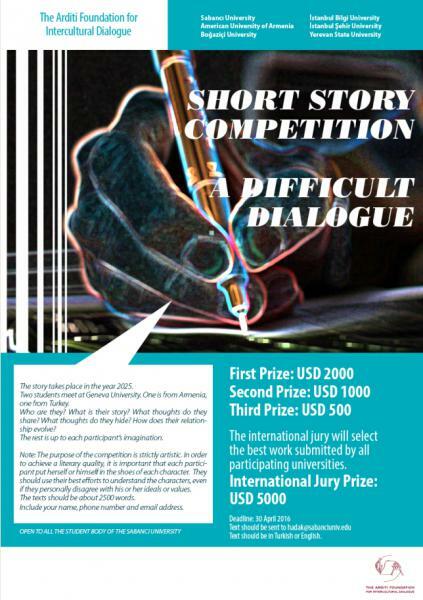 Sabancı University and The Arditi Foundation for Intercultural Dialogue together with İstanbul Bilgi University, Boğaziçi University, İstanbul Şehir University, The Center for Modern Turkish Studies, The Turkish Language and Literature Department, American University of Armenia, and Yerevan State University are organizing a short story competition focused on the story of two students, one is from Turkey the other from Armenia. The competition is open to all students. 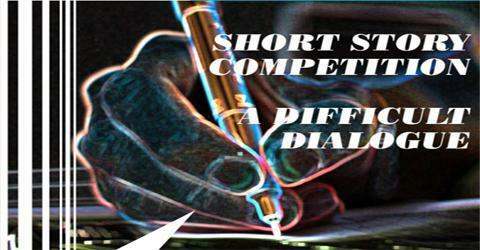 Each short story for the competition should be about 2500 words. It takes place in the year 2025. Two students meet at Geneva University. One is from Armenia, one from Turkey. Who are they? What is their story? What thoughts do they share? What thoughts do they hide? How does their relationship evolve? The rest is up to each participant's imagination. Stories should be in Turkish or English. In each university, the internal competition jury will evaluate the applications and winners will be awarded as follows: the first will receive 2000 US dollars, the second 1,000 US dollars, and the third 500 US dollars. In addition, the first of six universities will be evaluated by an international jury and the winner will gain the international jury prize of 5,000 USD in addition to the first. Deadline for applications is 30 April 2016. The purpose of the competition is strictly artistic and academic. In order to achieve a literary quality, it is important that each participant put herself or himself in the shoes of each character. They should use their best efforts to understand the characters, even if they personally disagree with his or her ideals or values.